Carlson, Keith Thor. 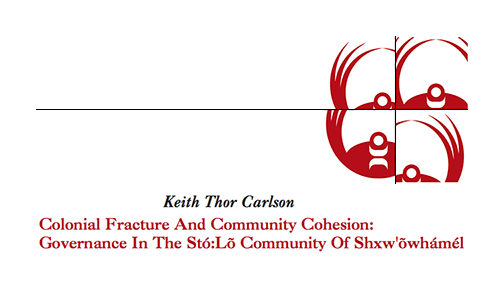 "Colonial Fracture And Community Cohesion: Governance In The StÃ³:LÃµ Community Of Shxw'ÃµwhÃ¡mÃ©l". A Research Paper for the National Centre for First Nations Governance. The National Centre for First Nations Governance. Canada. July 2007. Paper.